Selamat Hari Raya Aidil Fitri!! The month of triumph is finally here! My personal goals being set for Ramadhan has been achieved. Maybe not 100%, but at least there’s achievement in reaching the goals. Alhamdulillah! The house and the food – lontong, ketupat, ayam masak merah, sambal tumis telus, lemak lodeh and daging masak kicap, are all ready. Grey and pink for this year Raya theme. Selamat Hari Raya!!!! 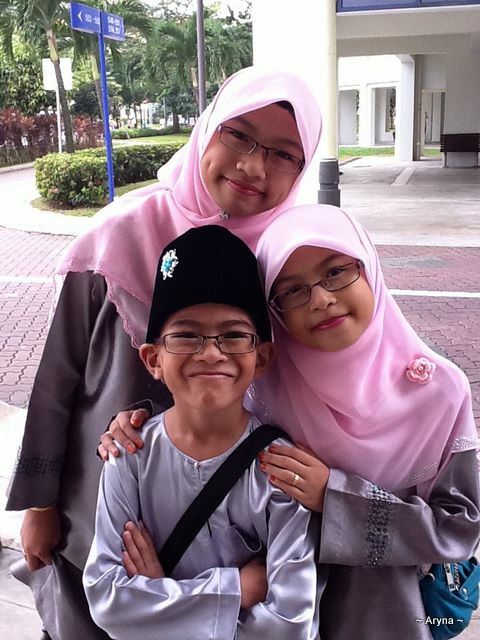 Masya Allah such beautiful children..